Lowest Price Online: $88.99 ? Sony's MDR-7506 closed-back, full-size headphones click with all music genres and are comfortable to wear for hours at a time. They sound excellent for their relatively modest price point. With a coiled, pro-style cable and lack of an inline remote/microphone, some will find the 7506s less mobile-friendly than more modern headphones. I purchased these Sony headphones semi-new for only $50 at the time from a friend of mine. They can be found currently around $99 or less. Once more unto the budget bin, dear hobbyists—these Sonys are worth it. I ordered these for my son and he says as an audiophile he thinks they're not far from perfect. And they block out ambient noise very well as from the lawn mower. Well mastered 320 kbps Mp3 and 24-bit Flac files sound amazing. Blu-ray movies sound better than the speaker setup at public movie theaters minus the sound impact to the whole body. Flat eq sound that's hard to find in today's headphones. Very reliable and still sounds superb. Easy to drive and gives high volume without amplification. Sounds phenomenal with Blu-ray + Dolby audio post processing. Still requires a decent headphone amplifier to hear that awesome tight bass at lowest frequencies. Some poorly mastered CDs and MP3 at 128 kbps sounds ugly with the instruments mashing up during chorus which is clearly caused by compression. Been using for over ten years. Buy once a year just cause wear and tear. Been in many studios with different headphones. By far most accurate. Over ear studio monitors. Love. I have always just used very cheap headphones for my production. Just bought the MDR-7506s and am blown away! I have never heard music in this depth and clarity before! There could be a bit more bass but it is fine the way it is. Very level output, making it great for production. If you're into home recording, these headphones are pretty good. They're clear with a nice balance of low end and also pretty comfortable. 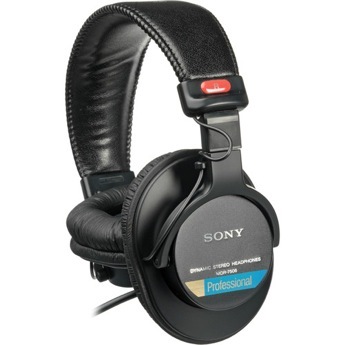 These Sony MDR-7506 headphones are my favorite for music or radio so I second all the great comments. If you've never had a really good set of cans, you'll hear things you didn't know were there in any music you listen to. However, beware of some of the chicom stuff. Good value for cost. The headphones are OK but I'm comparing them to expensive monitoring headphones (Also Sony) so I maybe a little unfair in my assessment. For casual use they are good and sound is just OK. I am a multimedia specialist our shop does a large variety of projects which require the use of headphones from connecting them to our video cameras, sound both or to our computers. 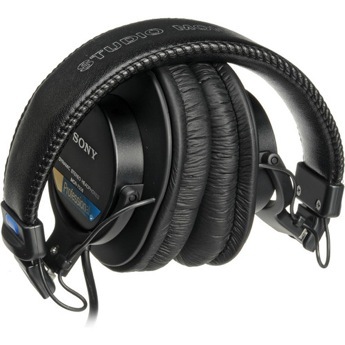 We have great results using these headphones and have order them for years. 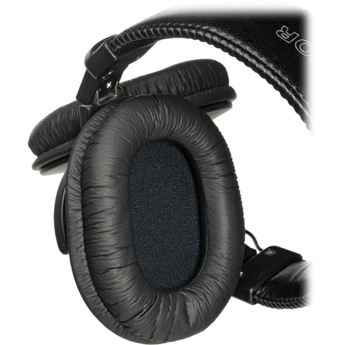 After using these headphones for years in a professional environment, I have found them to be relatively durable and without peer for mixing live audio in noisy club environments. Attractive and functional addition to the home PC. Sound is very good and the comfort level is excellent.